Craftsman made to the highest standard, each putter is face balanced \nto ensure maximum <\/div>consistency, feel and accuracy. Weather sealed. 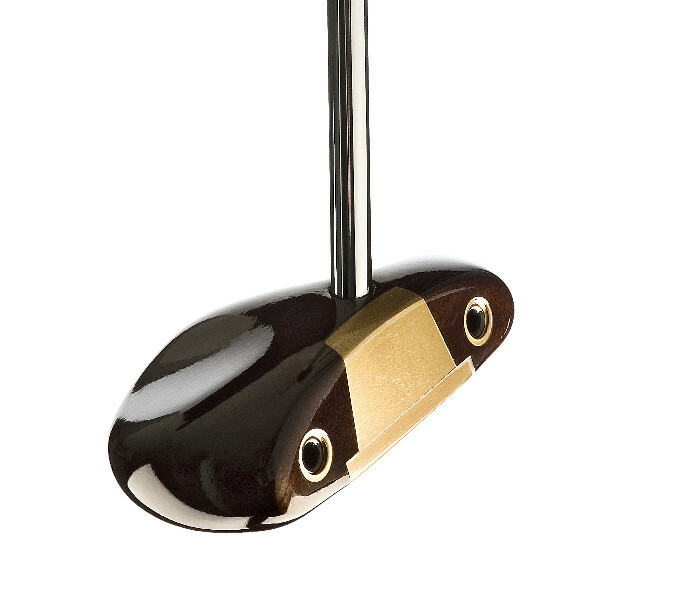 \nIncludes lined leather headcover, hand-made in UK from quality Italian \nleather. \n \n\t\tTop performance from an individual work of art. 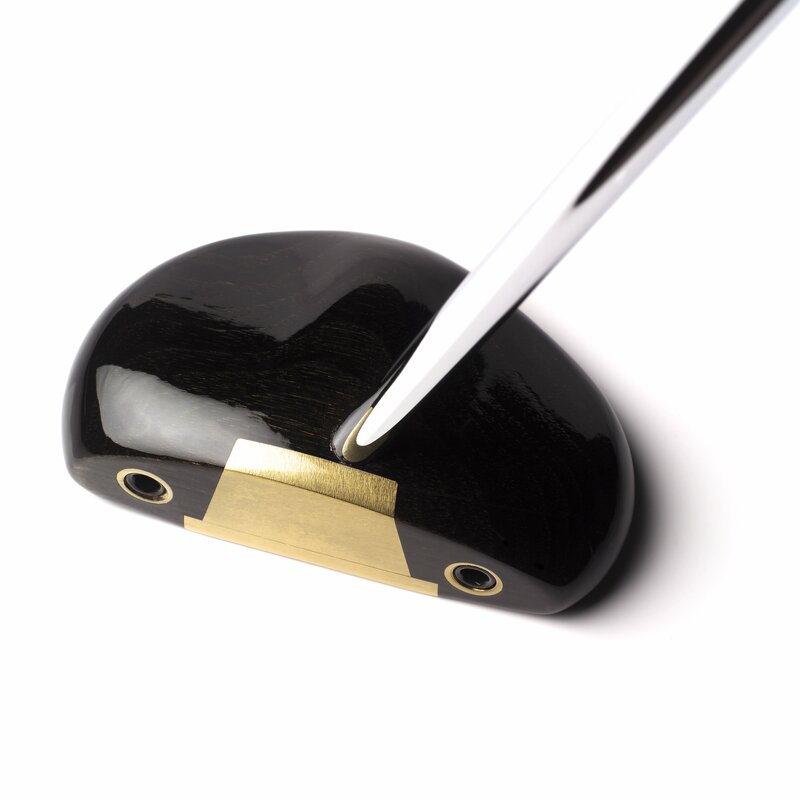 Black:<\/b> Solid persimmon with responsive brass insert and soleplate. Head weight 320g. Centre shafted. consistency, feel and accuracy. Weather sealed. Includes lined leather headcover, hand-made in UK from quality Italian leather. Top performance from an individual work of art. 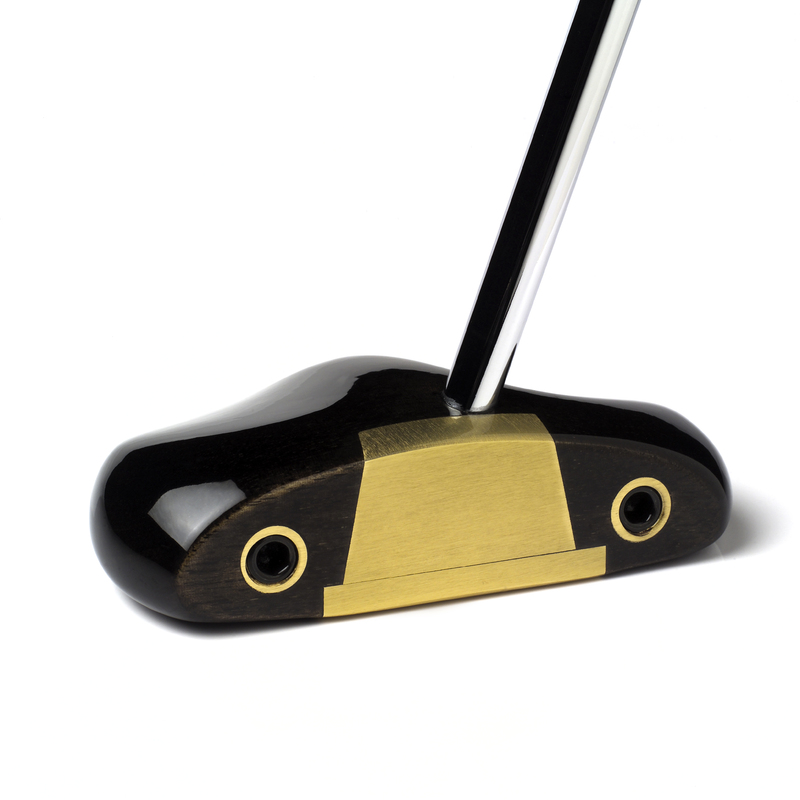 Black: Solid persimmon with responsive brass insert and soleplate. Head weight 320g. Centre shafted. Standard lengths - Mens 35" and Ladies 34"
If you require non standard length please indicate in the ordering comment box when completing your order.